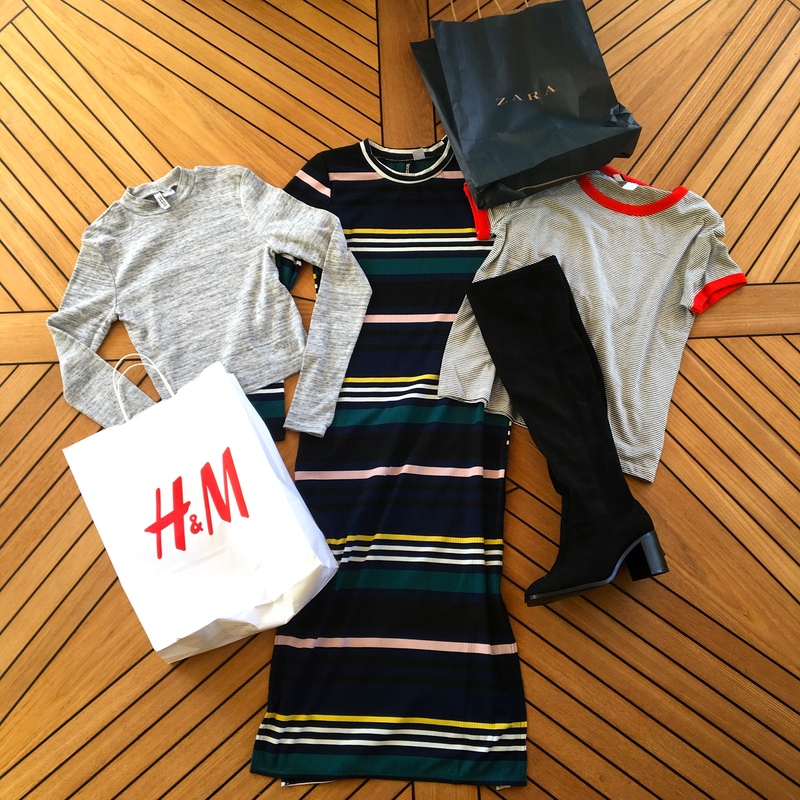 Ok, ok, I know… I did a post just over a week ago about a recent Zara shopping spree. But since payday had come my way, the shops were a’calling once more so I just had to tell you all about it ASAP. Despite the miniature-shopaholic-devil on my shoulder, I managed to put down the 99 things I picked up in Zara and bought just the one. A pair of 90s style, Cher from Clueless (my hero) inspired, faux suede thigh high boots. Gosh, that was a mouthful. I was a bit unsure about these to begin with, not sure how much wear I’d get out of them an’ all that. But I tried them on with a black mini skirt and also a pair of black jeans and my inner 90s babe came out and headed straight for the queue to checkout. Compared to other over the knee boots I’ve seen in this style, they were quite reasonably priced, although this is probably due to the fact that they aren’t genuine leather, but I’ll be happy if they just last me through this year’s cold snap. Complete with a cute little block heel and squared-off toe, I can’t wait to wear these with a little dress once winter hits good and proper. I actually only picked this one up to try underneath a strappy dress, but ended up liking the top more. Cropped with long sleeves and a funnel neck, this doesn’t actually come up too short on me so if I’m feeling brave I might wear it with some high waisted jeans and a leather jacket.